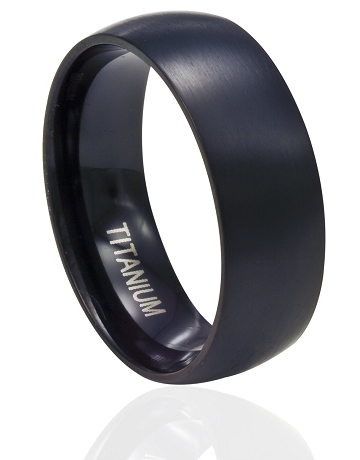 Matte black satin is the latest trend in men's titanium wedding bands, and this 8mm ring is the perfect example. 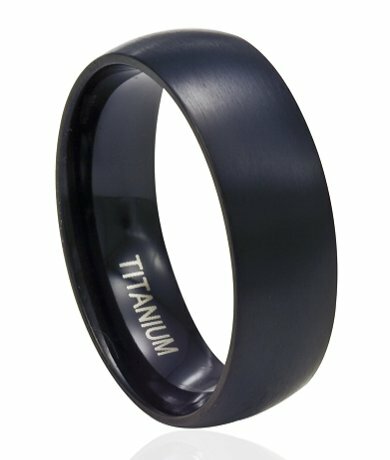 Made with a slightly domed profile and a comfort-fit design inside, this black titanium wedding band is a unique alternative for the modern man. The title says it all. I'm amazed by the inexpensiveness of this ring and the quality is great. Similar rings would be anywhere from $180-300 in the jewelry stores at the mall by my house. Very happy with my purchase and will probably buy a couple more to change it up from time to time.